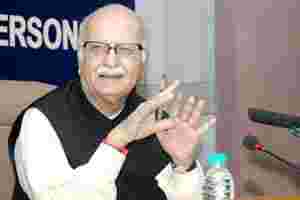 New Delhi: Senior Bharatiya Janata Party (BJP) leader L. K. Advani retains his ambitions to be the prime minister if the coalition, National Democratic Alliance (NDA), led by the party considers him for the job. “It depends on my inclination and my health at that time," Advani, who was his party’s prime ministerial candidate in the 2009 Lok Sabha election. The BJP veteran expressed regret for the NDA’s ‘India shining’ campaign in the 2004 election that is believed to have back fired. “It was ‘Bharat Uday’ and the English translation should have been rising India not shining India. It was a mistake… I should not have allowed it," Advani said while addressing the conclave. The BJP leader also clarified that his recent political yatra that concluded 20 November was not to rebuild his image but to save the image of India and protect the self esteem of the Indians. Defending Gujarat chief minister Narendra Modi, Advani said: “no other politician is wrongly maligned as him... Modi is a remarkable administrator and an excellent leader." Reiterating his view that Prime Minister Manmohan Singh is a weak Prime Minister Advani Singh has “accepted the Communist model of democracy in which party chief is more important." On Congress chief Sonia Gandhi, he said: “you can’t have a person whom you don’t know as a number one. I have not come across a single journalist or a bureaucrat who have interacted closely with Sonia Gandhi."